It’s been a while since I have posted on here, but I wanted to bring to you another small find of mine. 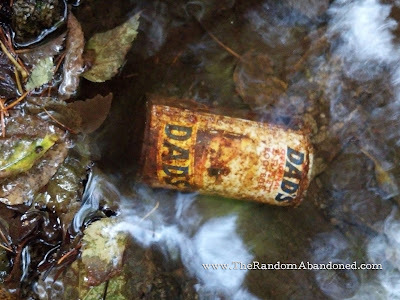 If you have read the blog before, you know that I found an old Rosen’s Beverages soda bottle in a river in New Jersey. I have a thing for old bottles and cans. When I was a kid, I thought nothing of them, but now I realize just what a part of history these things can be. This time we are not in New Jersey though. As a matter of fact, we are on the complete other side of the country, in Alaska. As mentioned in a previous post about The Pullen House in Skagway, Alaska, I had the pleasure of spending four months in the beautiful state of Alaska. It is without a doubt, the most beautiful places I have ever been. From the natural wonders, to the manmade history of once chased dream of finding gold. I am back again in Skagway, and this time I was walking up a small creek. The creek took a bit of a turn to a much higher elevated state. Now, I didn’t have my camera with me at the time, so I only had my older phone. I did manage to get some pictures. There was more than just water and dirt. The manmade past was in front of me, sitting in the typical Alaskan fashion: ruins. As I was climbing up, something caught my eye in the water. I looked down and saw a can. Upon further inspection, it was a can of “Dad’s Draft Root Beer”. 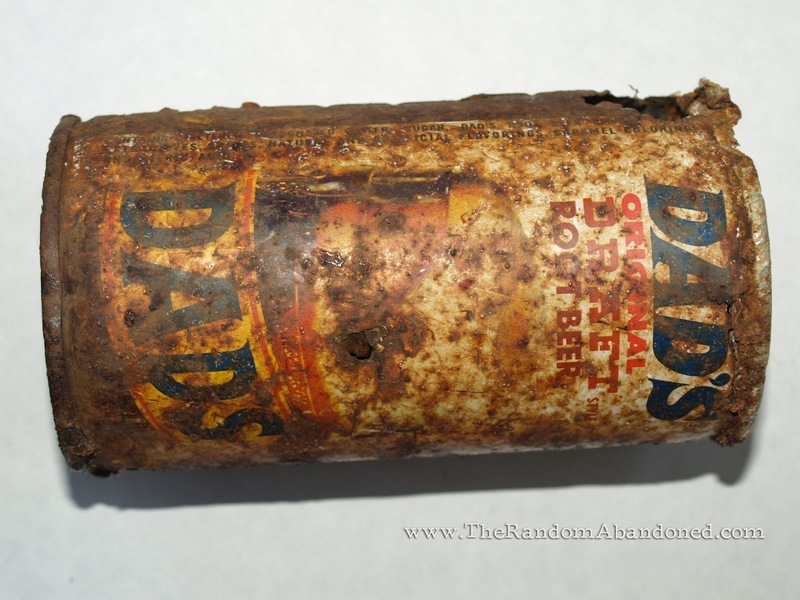 I was never a fan of root beer, but I instantly started wondering how it got here. The can looks like it was from the 1970s, so I was imagining kids playing around the possibly still standing bridge/ruins, drinking their “Dad’s Root Beer”, then throwing the can in the creek. UPDATE: After being in touch with Dad's Root Beer, they believe this can could actually date back to the 1950s! Alaska has some brutal winters. Way below freezing. How many times has this can been frozen under the creek? 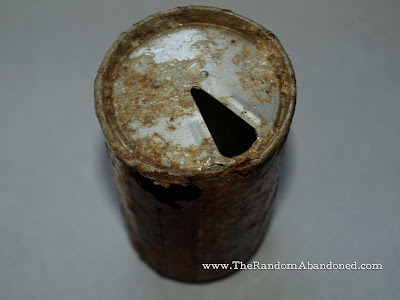 The can is in nowhere near good shape, and it has no value to it. However, the story behind it, the location, the thrill of finding it, now that is where the value is to me. There are holes in it and you can barely make out the artwork. 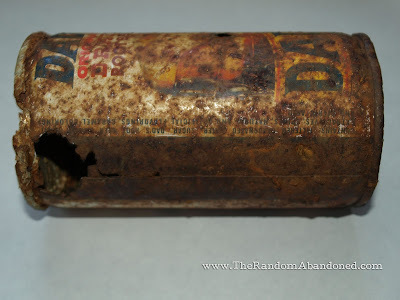 From what I can almost make out on the can, it looks like it was packaged by a now renamed or defunct company named “Noel Canning” out of Washington, was enjoyed by some in Skagway, Alaska, and found by someone forty years (me) later who brought it back Florida, where it now lives. I like old things. It’s the stories that go with them, even if it’s all just speculation. This was simply, and pretty much still is simply, just trash. 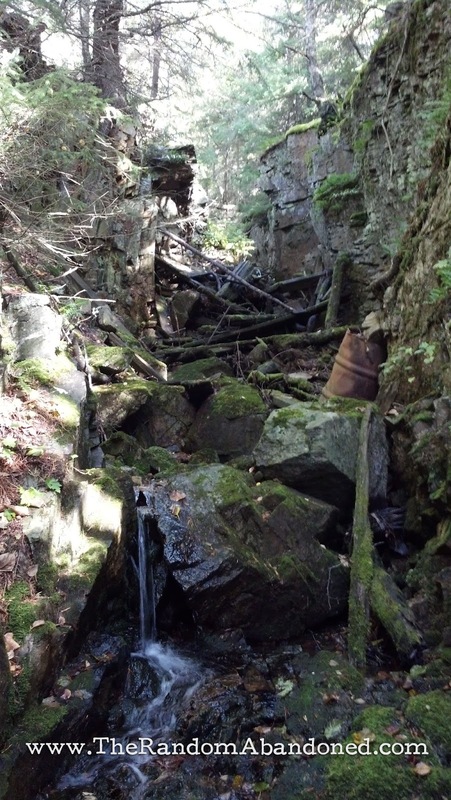 However, finding it on an expedition through The Last Frontier in an area surrounding you with history? Now that’s a reason to become a fan of root beer. 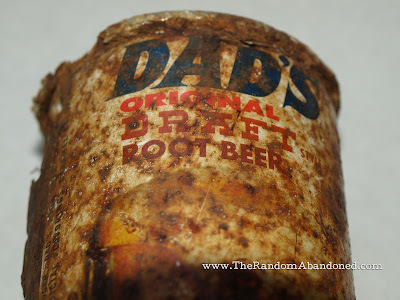 Dad’s Root Beer is apparently still around and making soda. They celebrated their 75th anniversary back in 2012. 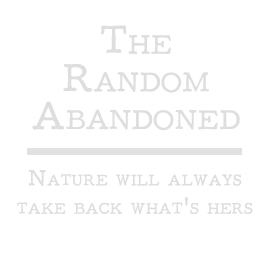 They don’t seem very active on social media, and their website doesn’t seem updated, but hopefully this little story can bring them a smile if they stumble upon it. Just remember: you never know what stories trash can tell you.